Ø Ø Sergio S. Nicolas 1st place in Web Development. 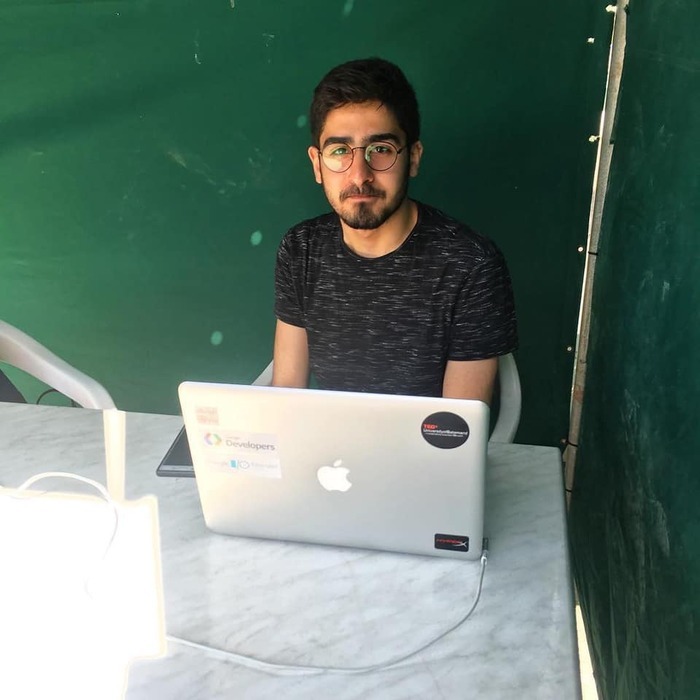 Sergio built and designed a fast loading, interactive and responsive website from scratch (single page application) based generally on Angular for the Front-End and Node.js for the Back-End. 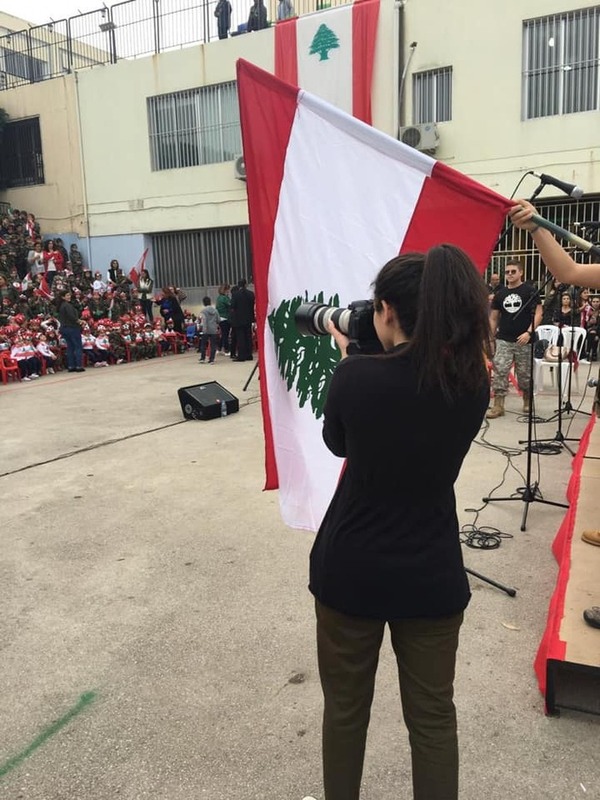 This website has a component that involves the uploading of documents which will be stored locally on the hosting machine. 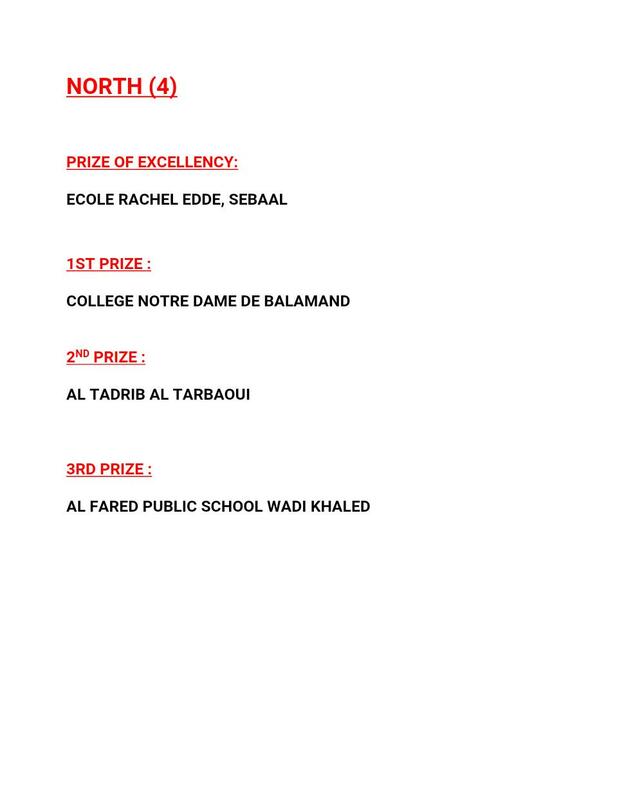 Adriana Sadek- Barbara Nicolas- Francine Khoury and Gaelle Yazbeck 2nd place in Nutrition Sub Context. Karim Ratel 1st place in vocal star. Fay Ishac 1st place in photography (secondary) & 3rd place in photography workshop. 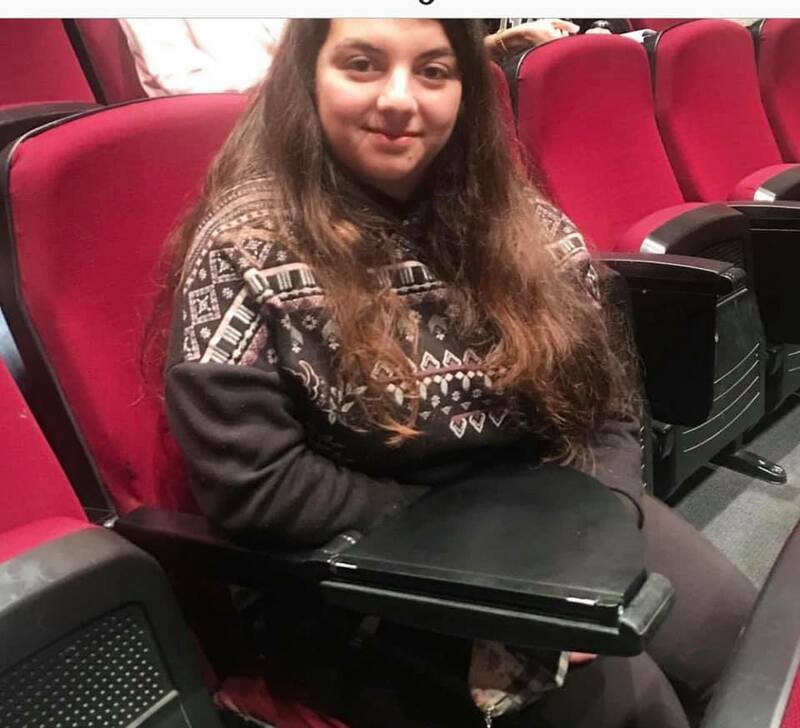 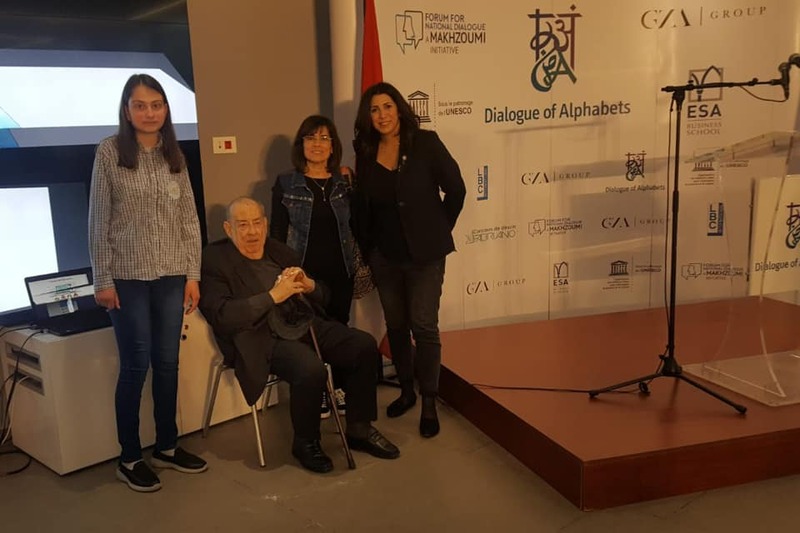 Yara el Koussa 1st place in French essay. Joanne Awad 3rd place in French story. 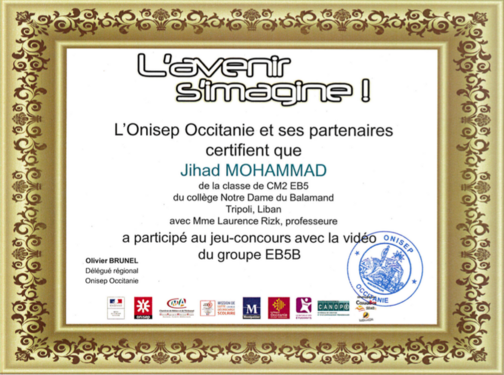 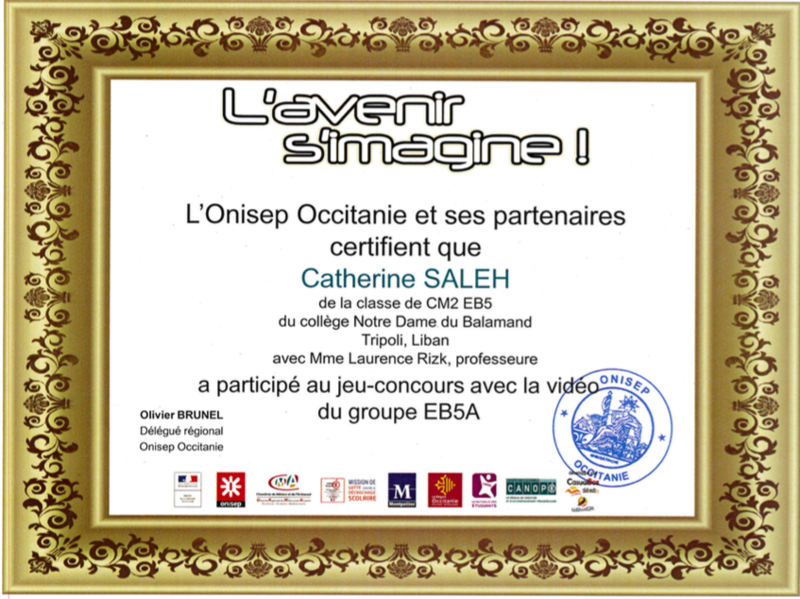 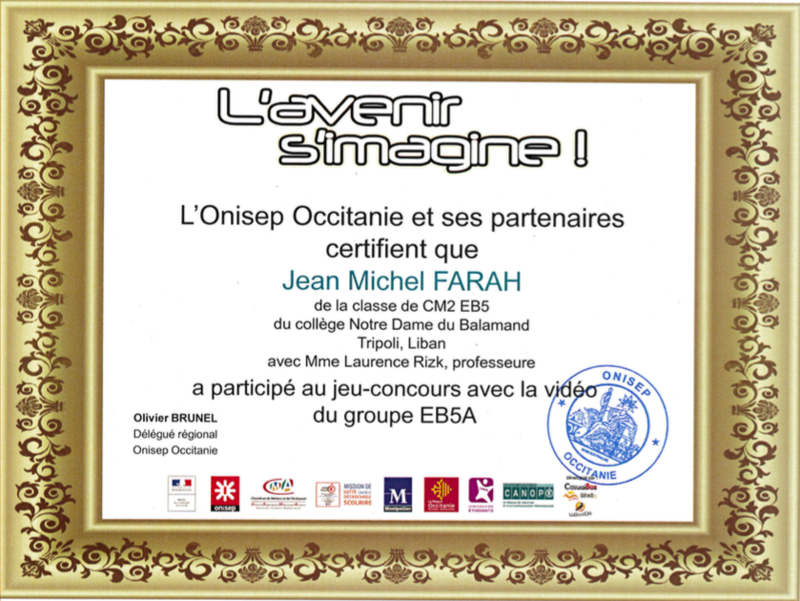 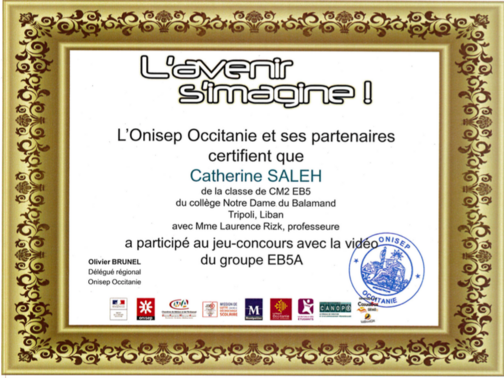 Une première participation au concours "L'avenir s'imagine" saluée par les organisateurs. 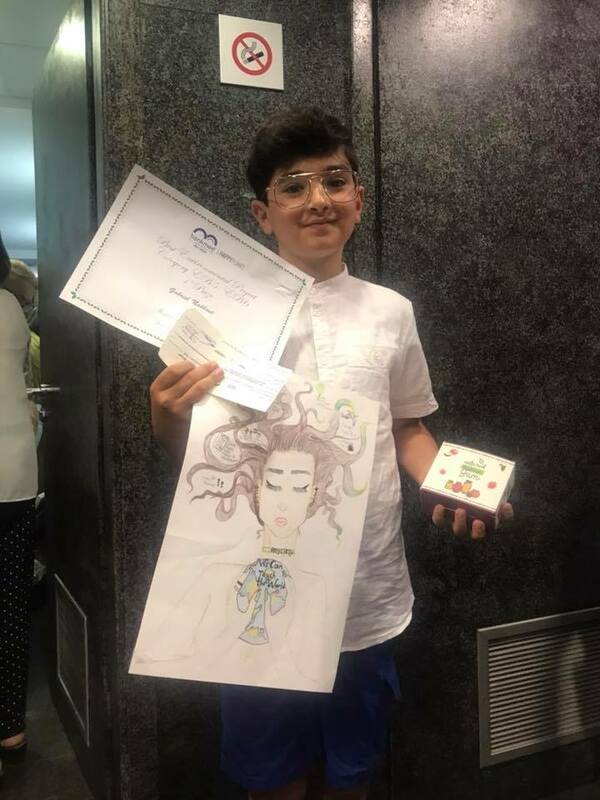 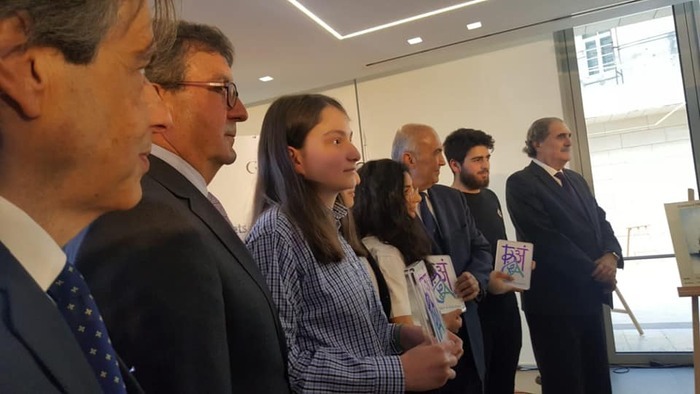 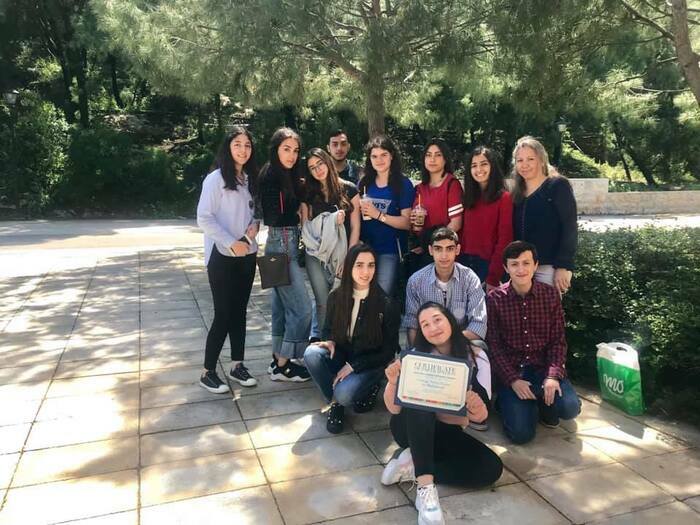 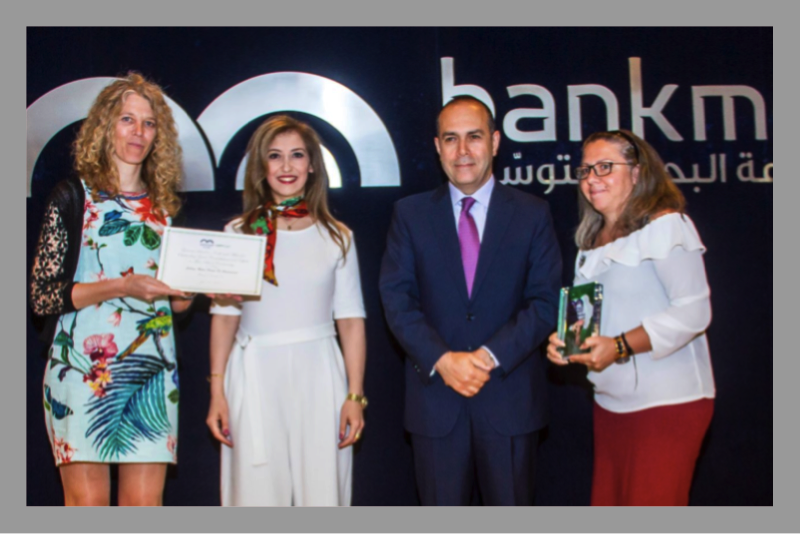 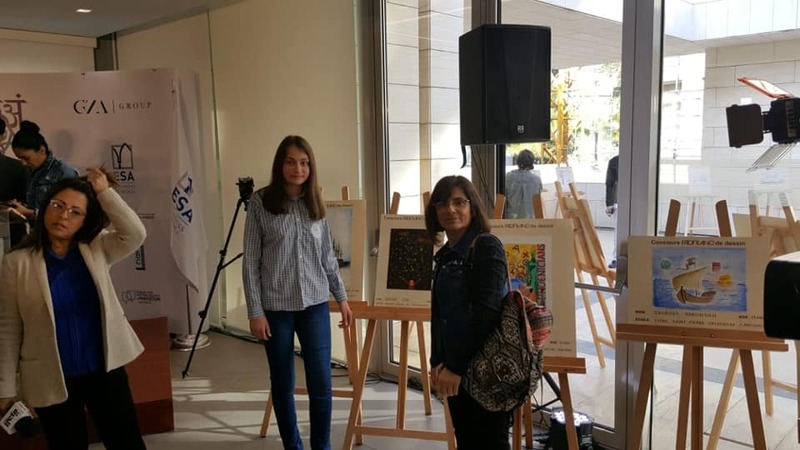 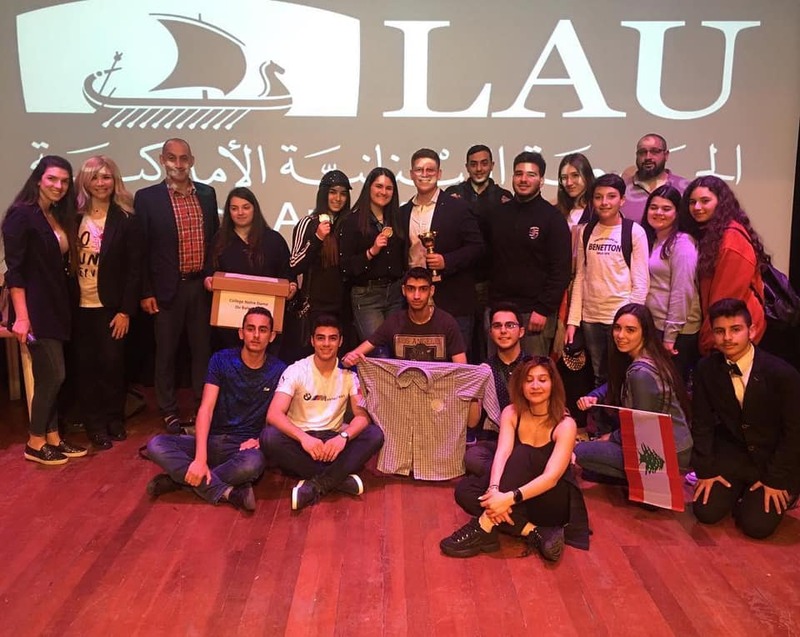 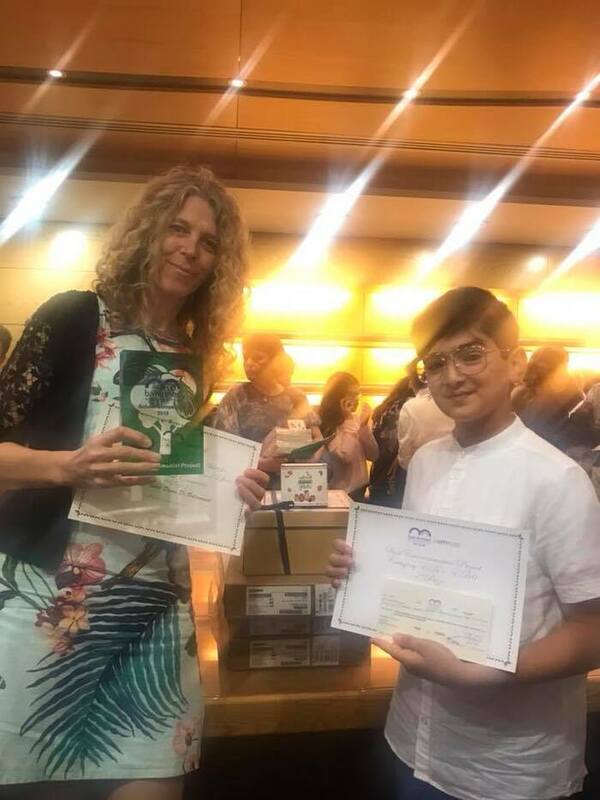 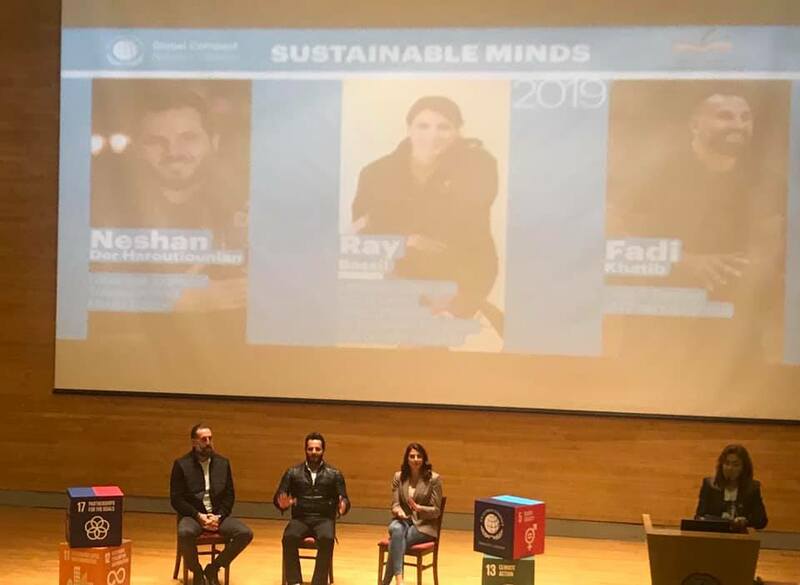 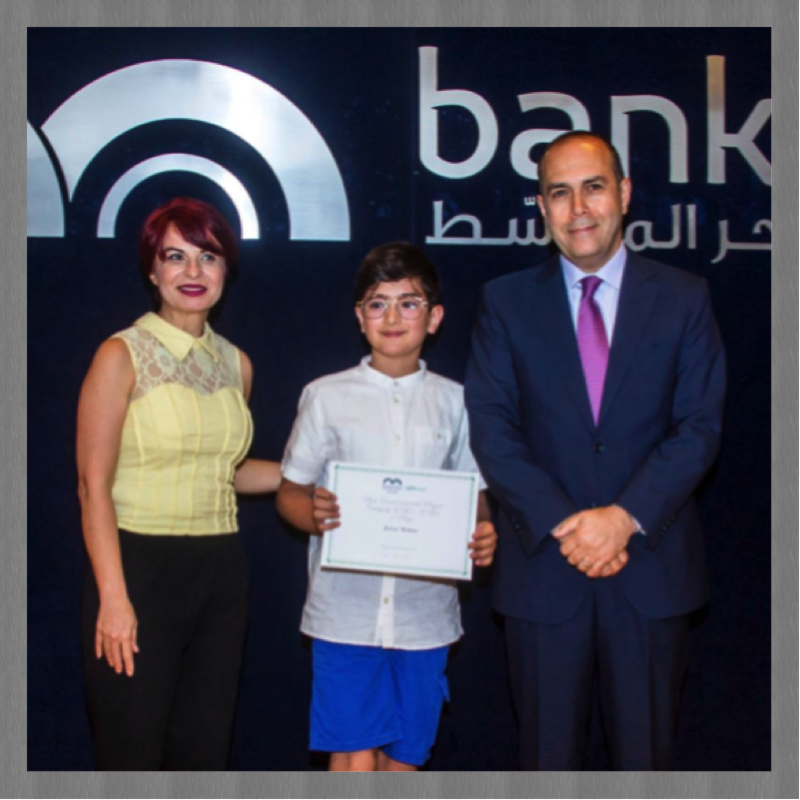 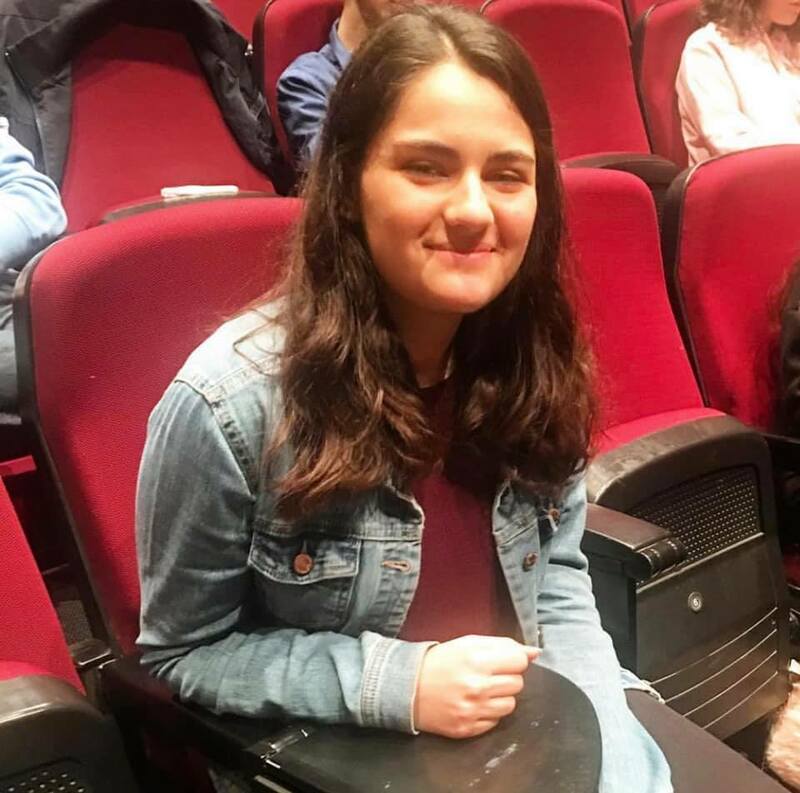 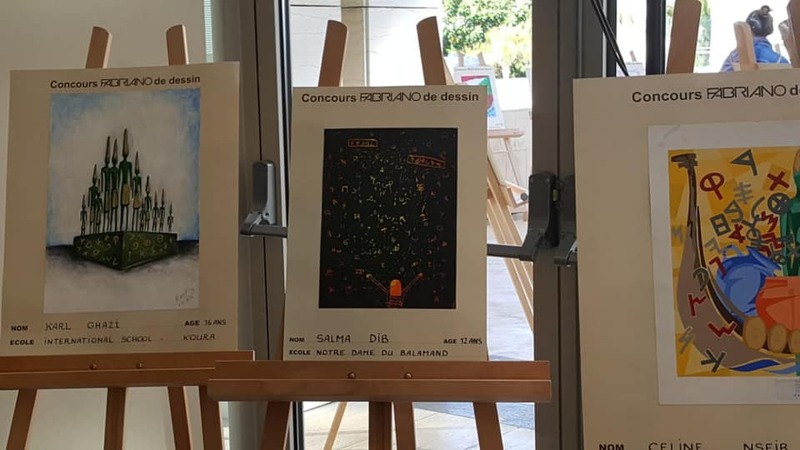 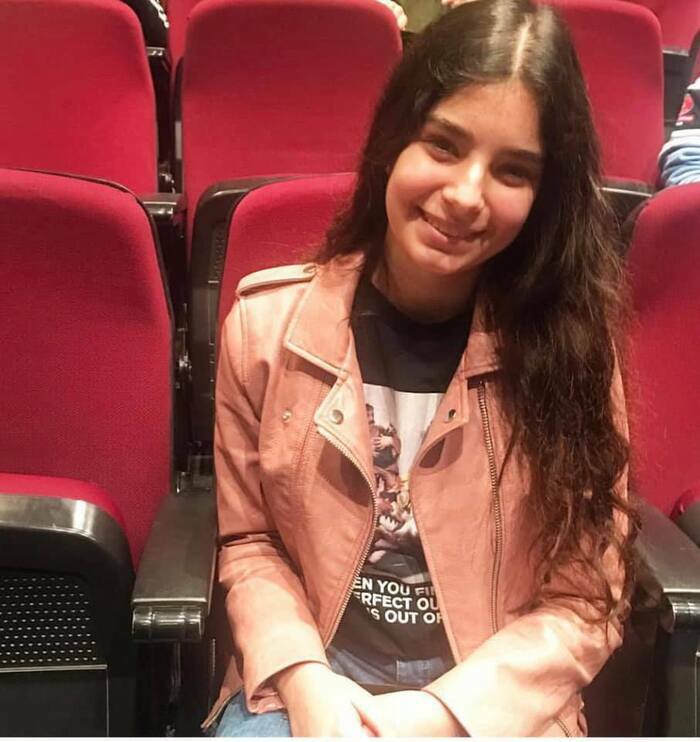 Le Collège Notre Dame du Balamand se place à la première place du concours green school competition de Bank Med. Bravo Gabriel pour ton premier prix !